Pink Floyd co-founder insists Munich municipality rescind accusation of anti-Semitism. 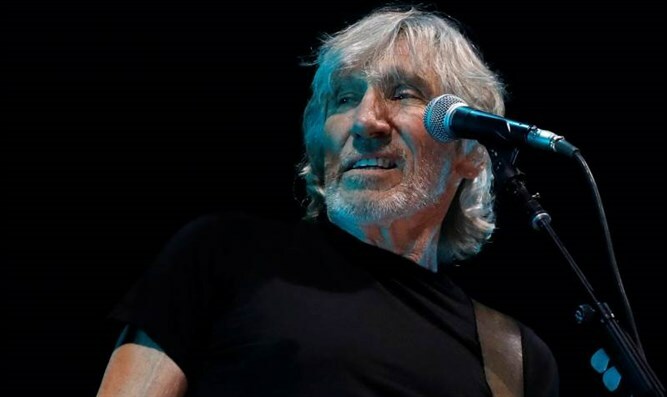 Pink Floyd Co-founder Roger Waters is demanding the Munich municipality remove a press release accusing him of anti-Semitism, DPA reported. Earlier this week, Munich Mayor Dieter Reiter said his city may not allow Waters, who supports the Boycott, Divestment and Sanctions movement (BDS), to rent a venue in the future due to the musician's "increasingly unacceptable anti-Semitic comments." "Roger Waters' anti-Semitic sentiment is neither welcome nor unchallenged in Munich" Reiter emphasized. However, Waters' lawyer Christian Schertz insisted that his client only criticized Israel's policies, and was not anti-Semitic. A spokesperson for Reiter said the city's legal department is currently reviewing a letter sent by Schertz. Last year, Munich's city council passed a resolution banning the use of public space and funds for BDS-supporting activity.